Two HGV's have been involved in a collision on the eastbound carriageway (towards Derby) and on the westbound carriageway (towards Stoke) a car and HGV have also collided. Fire service and paramedics are dealing with the incident involving the two HGVs as the drivers of both vehicles has sustained injuries, one believed to the seriously. The air ambulance is currently also at the location. It is likely that the road will remain closed for a consideration time. M6 in both directions is blocked stationary traffic, long delays due to overturned lorry between J3 A444 / B4113 (Nuneaton / Bedworth / Coventry) and J2 M69 / A46 (Coventry), congestion on M6 to J3a M6 Toll South. Travel time is (Southbound) around 70 minutes. A441 is closed both ways with heavy traffic due to an accident involving a car and cyclist near B4120 Redditch Road. Police are directing traffic just north of the M42, junction 2. A4103 in both directions blocked, slow traffic due to accident near A465. Affecting traffic between Hereford and Withington. One lane closed and slow traffic due to emergency barrier repairs on M42 Northbound between J2 A441 (Alvechurch / Redditch) and J3 A435 (Portway / Redditch). Travel time is 15 minutes. On the M5 Northbound here are currently delays of up to an hour and a half between J5 and J4 due to heavy traffic. This is set to ease by 8.00 pm. 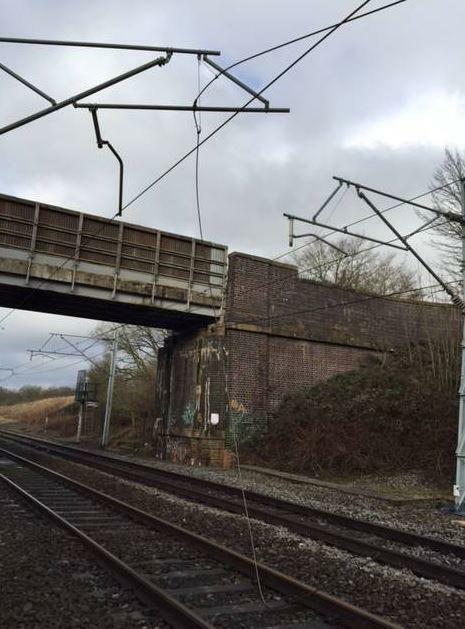 #EMTUpdate: @networkrail teams are on site at #HubbertsBridge and are working to resolve the issue as soon as possible. Service is suspended on East Midlands Trains between Skegness and Sleaford due to over running engineering work. Tickets being accepted on West Coast Rail as far as Grantham services. Very limited replacement road transport is running between Skegness. There is no estimate for when a normal service will resume. The A511 has re-opened in both directions following an investigation work into an earlier accident between Burton Road / Rolleston Lane (Tutbury) and Beamhill Road (Rolleston). The A610 Ripley Road is closed in both directions causing heavy traffic due to recovery work and an accident involving three vehicles. The closure is between the B6013 Chesterfield Road (The Excavator pub) and Bullbridge Hill. Police and recovery are at the scene. #Coventry update- @virgintrains services running from #NewSt - #Euston at xx30 & xx50 and are accepting our tickets. Replacement bus services are running on London Midland services between Coventry and Northampton due to overhead line problems. Buses are calling at Rugby and Long Buckby. Also affecting Virgin Trains operating between Birmingham New Street and Coventry. Disruption is likely to continue until the end of the day.